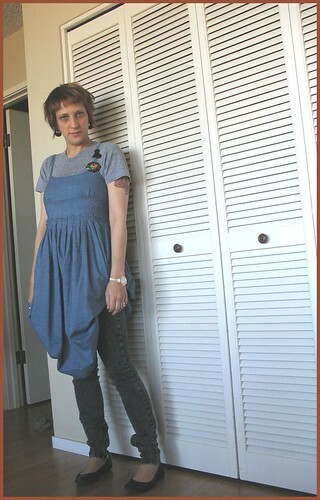 about to go out to brunch with stephanie of anti-factory in/near the dogpatch. took a quick snap before i headed out the door...so 'scuse the funny angle (o' my head). speaking of heads, i went back to red (hair). i missed it. i think i jump back and forth every year. next time i'm going to go a bit more vivid with it, a la some of my old w_r photos.